Which celebrity did netizens vote as the 'Pretty Noona Who Buys Me Food'? Netizens voted for which female celebrity they think would be most likely to buy them a delicious meal! In theme with the drama 'Pretty Noona Who Buys Me Food', netizens already revealed which male idol they'd love to treat out to a meal, and it's time to see the other side! 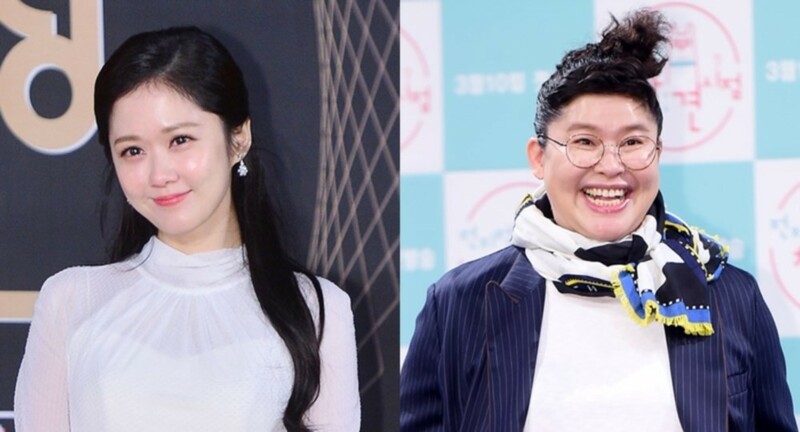 On April 24, 'Exciting Dish' asked online users, "The noona star who seems like she'd buy you food often?" in a poll that ran from the 15th to 21st. Out of 4,023 votes, Jang Na Ra came out as 1st with 1,013 votes (25.2%). In 2nd place is comedian Lee Young Ja with 785 (19.5%), and in 3rd is Girls' Generation's Taeyeon with 614 (15.3%). Son Ye Jin, Hong Jin Young, Kim Hye Soo, and Park Na Rae were also notable mentions.